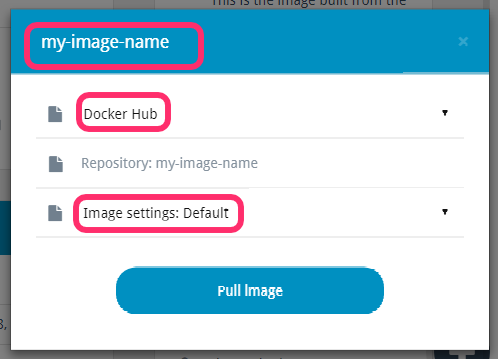 In this article, we'll cover importing an image from Docker Hub into Virtual Labs. This process will also work for Docker Store. For information on retrieving the correct name for a Docker Store image, you might want to try our article by this title. Ensure that any images that you pull from these sites can be trusted prior to attempting to import them. Some images provided from community sources may include security vulnerabilities, and should only be used at your own risk. After you click the Pull image button, a new entry ("Pulling image ...") will appear in the Recent activity sidebar, indicating that the image you requested is being pulled. At this point just wait; it won't take long! As soon as the image is available in the dashboard, the above entry will change its status to "Successfully pulled image ..." and you will be able to find the image (either directly, or by using the search box). Simply check that you are entering the correct name, and that there are no access issues before trying again.